If you’re reading this, then chances are you’ve at least considered selling on Etsy or perhaps you’re already selling and are wondering what you can do to make your shop more effective. I wish I could say there’s one right answer for everybody, but successful Etsy selling strategies are as diverse as its nearly 2 million sellers. I’d love to sit down with every seller individually, but for now I’ll settle with sharing some principles which will help you determine what you want to get from selling on Etsy and guide you toward the right strategy to accomplish those goals. However, while you may have a passion for your product, it takes more than passion alone to make a business successful. There are a lot of reasons why you might be passionate about macramé kittens, for example, but the reason you’d want to sell them on Etsy is because you have another goal…making money. Your financial goals, large or small, will change your business strategy. Are you trying to become a macramé tycoon with a vast knotted empire or just make the odd sale here and there so you can buy more cord? How much money do you actually need or want to make? Questions like these are as important for success on Etsy they are for any other business, and your answer may even cause you to change how and what you sell. I’ll get more into this later, but in the meantime, ponder this—what do you really want out of your Etsy store? 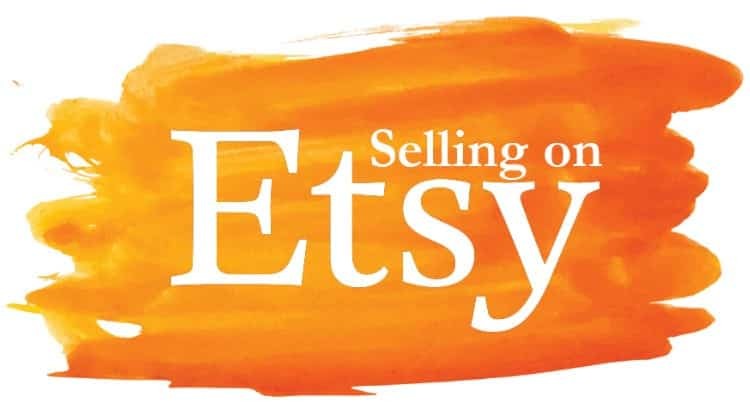 Is Selling on Etsy Right For You? While I’m on the subject of business goals, it’s important to note that some business strategies aren’t a good fit for Etsy in the first place. Just because your product is creative, unique or vintage, that doesn’t mean that selling on Etsy is your best ecommerce option. The main alternative to selling on Etsy is building and managing your own website from the ground up. There are pros and cons to both running an Etsy shop and creating a free-standing site, and each tends to be strong where the other is weak. Store Setup Ultra simple and streamlined—Etsy walks you through every step! There are several (typically paid) services that can help you design a site, but to make it attractive and easy to navigate you’ll either need some technical know-how or need to pay someone to build and maintain the site for you. Customization You get one choice—the standard Etsy layout—for your store and all your products. You can display your stuff however you want! Getting Customers Instant access to everyone searching on Etsy, but it can be difficult to be found on Google or other search engines. The whole world can find your stuff, theoretically…if you can fight your way to the top of the search results. Building a Brand You can choose your logo and your shop name. Aside from that, your business looks like any other Etsy shop, making it tough to stand out. You can build your own brand image however your want…if you have the time and the technical skills. Marketing Limited options to promote your products on Etsy and possibly Google Shopping. Many advertising options are available. You’ll need to learn about them and decide which works best for your business. In short, Etsy’s strength is that it’s simple and straightforward. Within minutes of creating an account you can have your items for sale, and if you have good product names and pictures people will start finding and clicking on your stuff instantaneously. The flip side is that you have to pay for the privilege of selling on Etsy, you can’t customize much of anything and you’re stuck running your business the Etsy way. In contrast, building your own website allows you complete control over your brand, marketing, costs and customer experience, but at the cost of a lot more time and technical expertise. Perhaps you want to start by selling on Etsy, get your feet wet while your hand is being held and then maybe strike out on your own if you’re successful. If that’s the case, then it’s a good idea to purchase the domain name for your future website at the same time as you create your Etsy store. It’s not that expensive, and holds a place on the web for you should you choose to do your own thing later. If you’ve decided that Etsy is the right place for your business, then the big question becomes: how you can turn a profit on your shop? Etsy only cares about this for research purposes, but the question is an important one. Whether you’re doing Etsy full-time or as a side project changes the financial goals of your store and the amount of time you can spend on it—these factors that will guide your entire business strategy. Pete has a day-job, but wants some extra cash for a down payment on a new truck. He doesn’t have a ton of spare time, but feels like he could commit an average of one hour per day to his Etsy business (365 hours a year). Fran wants to be her own boss and has decided to turn her talents into an online empire that will meet all of her financial needs. She can commit entire workdays to her business. Now let’s look at a few types of products and see which strategy meets each of their needs best. For many people, when they think of selling on Etsy, they think of selling big, expensive, handmade items like the fully assembled chainmail armor below. If Pete got all 15 of the potential yearly orders for this product, he could make enough to pay for his new car. But, making them all would demand more time than he has available. Pete only has enough time to make 9 of these per year, which would amount to only $3,700. Fran has enough time to make 82 of these, totaling around $33,500, but not only would this not meet her financial goals, there’s no way she’s going to get 82 orders for a custom project like this in a year. By itself, this big project strategy doesn’t seem to meet either seller’s needs, although it comes closer for Pete than Fran. The obvious solution is to raise the item’s price…but they can only go so far with this. Remember, Etsy is very competitive and price tag may be the only way to make a product stand out. Another option is to opt for smaller, less specialized sales which require less time and reach a wider audience…but also pull in less money per sale. In this case, rather than making a whole armor shirt, the entrepreneurs could simply buy wire in bulk and turn it into rings to sell to other creative people. Here, I’ve set the cost of shipping for this item as $0 because offering “free shipping” for low cost items like this doesn’t make much sense. Etsy calculates what your shipping costs will be and adds it to your customers’ charge. If you’re savvy, however, you may be able to ship for cheaper than Etsy’s estimate and make a little extra dough. This option doesn’t make much sense for Pete. Filling a lot of tiny orders like this would send him running to the post office for shipping almost every day and would eat up a lot of his limited time without much of a return on investment. In 365 hours, he’d make only $3,146. For Fran, however, items like this could be a significant part of her business. She has the time available for daily shipping trips. If she had 8 items like this and got 3 orders per day each then she could be making as much as $70,000 per year and still only have to go to the post office once per day. Small orders like this make sense in volume. Add enough of them together and you could make some real money, but if you don’t have the time to run a volume business, you’ll quickly get annoyed by all the tiny orders—making your part-time job feel a lot less part-time. A third approach is to create a digital product which customers can instantly download once they complete their payment. 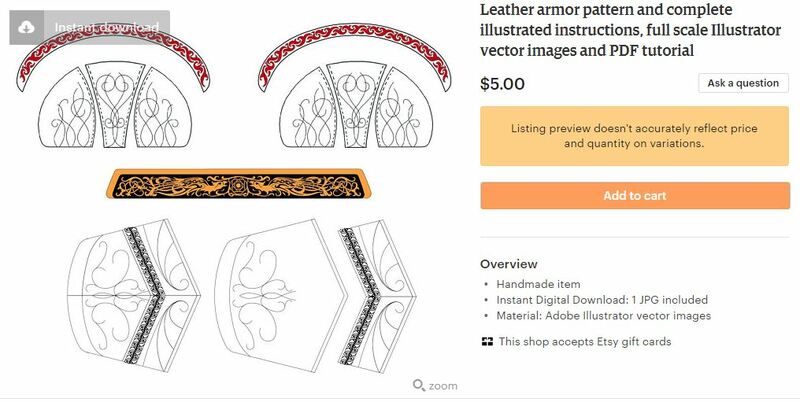 In this example, our Etsy sellers could sell their armor making instructions and templates. Digital items like these are generally low in price but have the advantage of requiring almost no time commitment once the up-front creative process is over. For cheap items like this, Etsy’s small listing fees and payment fees start to feel a lot bigger. Etsy skims over 10% off the top of a $5 purchase like this. Pete loves this type of product. He could make eleven of these products, list them and forget about them. If he gets 100 sales each, he will meet his financial goals while only spending 220 hours of his 365-hour allotment. The high profit margins of this type of product are just as good for Fran as for Pete, but if they were the only thing she sold, she would have to create at least 112 of these high quality digital products in order to meet her financial needs. She’s a craftsy person, but this could place a strain on even her creativity and take a lot of time away from her other ventures. Quality is just as important with digital products as tangible ones, and perhaps even more so because your customers will have their purchase in hand before they’ve even left their computer and bad reviews could cost you many sales. Should You Sell on Etsy? My Pete and Fran example is oversimplified to say the least. Not all sellers fall into one of two extremes, and there are way more than three types of product that you could be selling, each with its own time requirements and returns on investment. Even so, the moral of the story is that you need to know what you’re hoping to get out of your Etsy store. You need specific financial goals and should also decide what type of time commitment you’re ready to make. If you’re selling on Etsy part-time with low commitment, then time is your most precious commodity. The less daily attention your products require from you, the more satisfying your seller experience is likely to be. A hands-off approach like this isn’t the best way to make the big bucks, but Etsy was only ever a side project for you anyway. If you’re planning on selling on Etsy full-time, then making money is your primary objective. For a steady income, you’ll want to offer many different items with high sales volume. Keeping up with so many orders can be a challenge, but that’s why it’s your full-time job. This is your small business and you need to think like a business owner. Etsy stores and Etsy sellers are as unique as their products. Take the time to decide what you want your store to do for you and then strategize the best way to achieve that. It might require some soul searching, some number crunching and maybe even an entirely new approach, but in the end you’ll be on the road to a more satisfying seller experience.